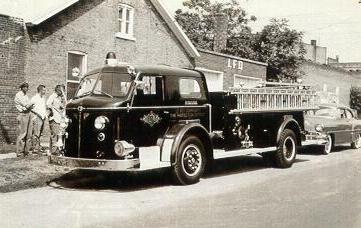 This photo shows a LeRoy Fire truck in 1955.Note the LFD sign(LeRoy Fire Dept). . .